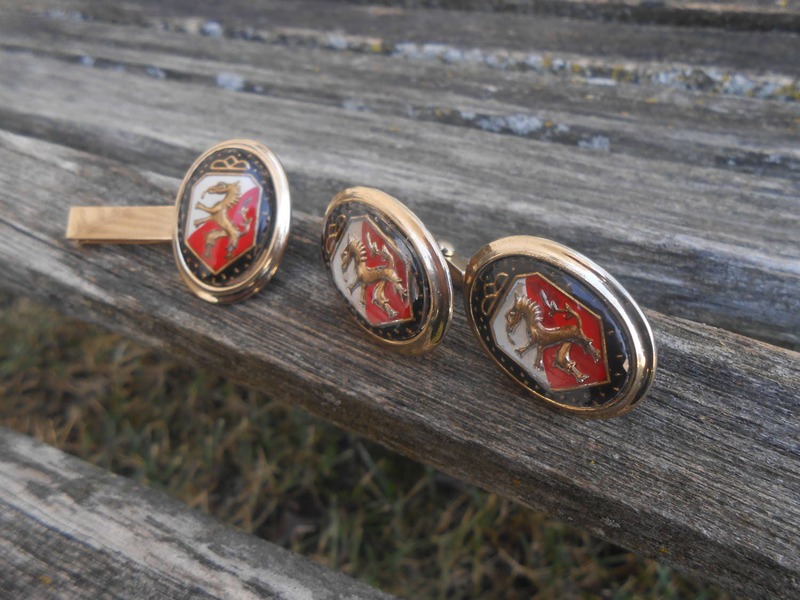 These vintage cufflinks & tie clip are totally sweet! 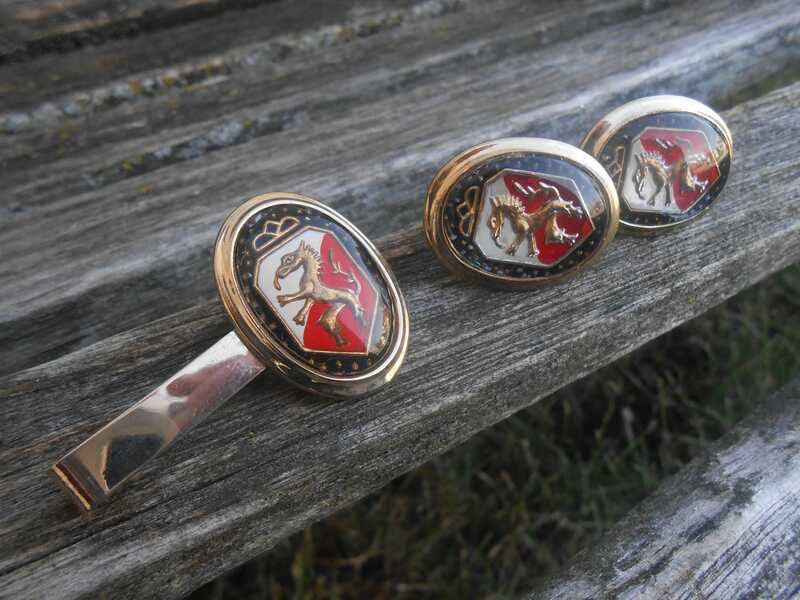 Each piece is a gold color and has a golden dragon, on a white and red shield. These are very cool! 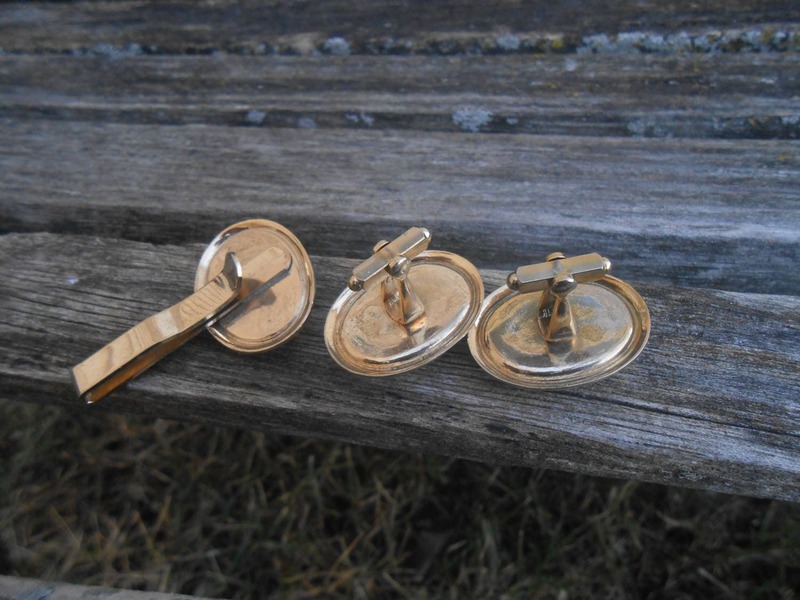 The cufflinks measure 1 1/4" x 7/8" and the tie clip is almost 2" long. 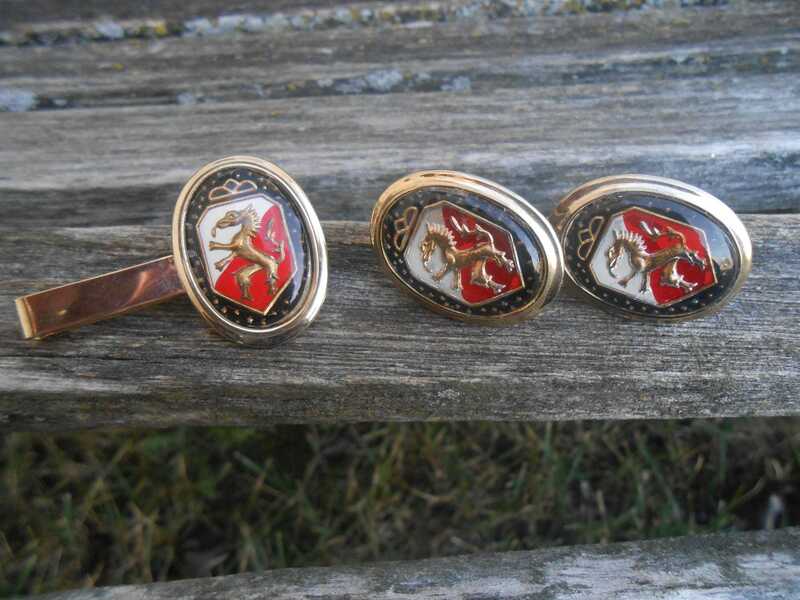 They were made in the 1970s and are in great condition. These would be great for any time of the year! Perfect for a wedding, for a groomsmen gift, anniversary gift, for Father's Day, or a birthday. 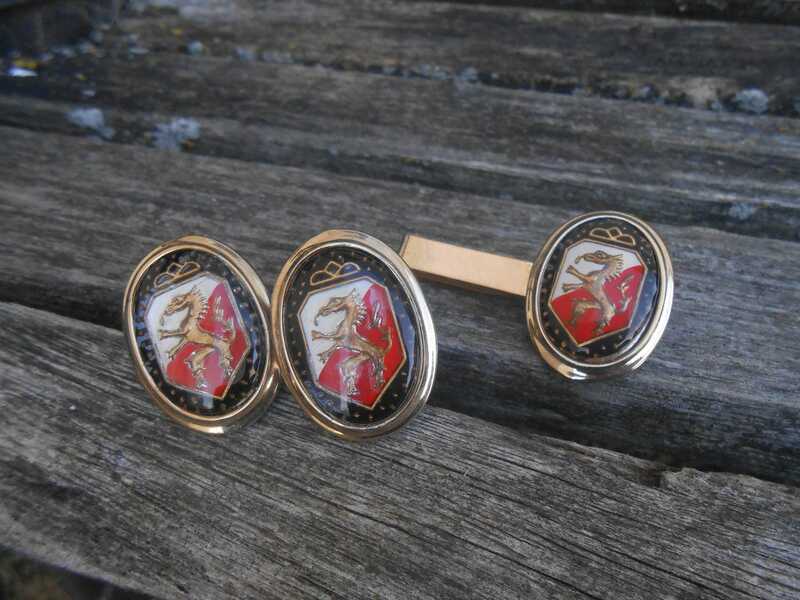 This listing is for one pair of cufflinks and one tie clip. Please let me know if you have any questions.